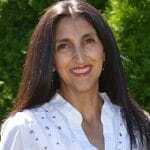 This is a great teleseminar with me (Jini Patel Thompson) and my assistant, Nicole Paull, called All About Elemental Diets. This is from our LTYG Wellness Circle, but we decided to make it available to everyone since we get these questions all the time. We discuss the most common questions, difficulties, tips and tricks for people wanting to go on an elemental diet. We also discuss viable alternatives to an elemental diet – for people who don’t have the money, or the time, or the willpower to do an exclusively elemental diet. We even tell you who should not go on an elemental diet! Nicole and I have been answering questions on the forum and doing private consults with people on The IBD Remission Diet for years (in addition to having both personally been on the Diet) – so we pull from a huge pool of experience with hundreds of different people. This is definitely information and insight you won’t find anywhere else – by the end you’ll likely know more about bowel rest diets than your GI! Just click below to download both the mp3 audio recording of the teleseminar and the written transcript. Or, see my other blog post for a quick overview of how an elemental diet is used in place of steroids to induce remission in Crohn’s, colitis, or diverticulitis. I switched from Ultra Inflamx (Metagenics) to AbsorbPlus a couple of weeks ago. I started with the sample pack then ordered 1 French Vanilla and 1 Chocolate. There is no comparison in taste; I was chasing the Inflamx with cookies it tastes so bad. I love the taste of both the vanilla and chocolate. I thought the berry tasted like childrens cough syrup. I am so pleased with this product. If you have any additional questions, feel free to e-mail me directly at service@listentoyourgut.com. Hello, our sister suffered a hypertension bleed in the left back hemisphere.. She’s on the road to a slow recovery and we’re looking for an alternate gastro-tube food formula to give her than the junk the pharma/medi groups use which contain canola oil a bunchy of chemical preservatives and miniscule nutrition. Do U have a formula that will be healthier for her and have the brain nutrition she needs to reformat her mainframe? ty and appreciate Ur website/information. ANNA – Absorb Plus is our elemental diet product, but it doesn’t really work well in a feeding tube. People have tried diluting it with a LOT of extra water, but they still have to massage/shake the bag regularly while it’s going in and it may clog the tube. I purchased your book that is a great help to me. I really appreciate what you have done and the years you have spent on your research. I have been diagnosed with crohns. I have followed your advise with a fantastic result. I want to go on elemental diet I had horrible mouth ulcers that scared inside of my mouth and throat (cant talk and eat because of choking). There is one problem however, that is the mounting cost, especially for the person who is not working. I cannot buy more at this point. You need compensation for your effort and I understand that.I respect you since I have benefited a lot. Just maybe more compassionate and les expensive approach will serve sick more efficiently in their time of illness. In the essence I believe that the basic elemental diet should be part of the book “listen to your gut” I don’t mention your products that I cannot buy because the cost of it. You are definitely gutsy and very determined lady. I learned a lot and I want to thank you for it. Unfortunately, I don’t have support and resources to do everything and pay additional money for it. But I know you got it right. 1. Free shipping for orders within the continental US for orders over $99. When I said “health business”, I meant the people in the colonoscopy and endoscopy business. Because they will never talk about all the risks, and those doctors that will just prescribe antibiotics like crazy. Make sure to sign up in the little pink box on the left side of that page and we will send you Jini’s Colitis Quick-Start Guide with even more free info. If you have any additional questions please don’t hesitate to reach out. You can reply here, email us at service@listentoyourgut.com, call 888-866-7745, or visit the live chat in the little blue box on the bottom right of this page (8am -3pm PST). is there a way of getting the ebook on elemental diet for free and receiving the 2 samples here in Canada? I don’t know what I’m doing wrong, but the shipping on the samples is 60$. Would I be able to sample the berry? I also would love to know what supplements to add to my elemental diet journey! that is why I was thinking I should get the book. from what Ive read so far, it’s going to be wild oregano, probiotics, vitaminC powder, AMINO? and Oils… Can I supplement a quality fish oil? I have a severe inflammation reaction to all nuts and seeds. LAST QUESTION… one tub is 10 meals? so that could potentially last 2 days only? Unfortunately shipping is very expensive from the US to Canada but we’ve just emailed you with some other information and options so we look forward to your response. Regarding supplements, this is all detailed out in Jini’s Listen to Your Gut and a lot of what Jini recommends has to do with the condition you might be dealing with (i.e. Crohn’s, UC, mild IBS, etc). Each 1kg tub of Absorb Plus does contain 10 servings so it would be 2 days of shakes if you were taking 5 per day. If you have any additional questions please don’t hesitate to reach out. 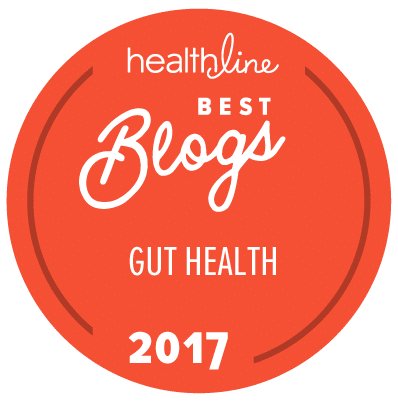 You can reach us here at the blog, by email at service@listentoyourgut.com, toll-free on the phone at 888-866-7745, or via live chat in the little blue box on the bottom right of this page (during normal business hours). A member of my family has celiac, proven by intestinal biopsy. She finds that she cannot tolerate many brands of probiotics, and now she understands why not. The best way to learn which brands of probiotics are safe is to join one or more celiac groups on the internet where patients report their personal experiences with different brands of probiotic products. The reason that we purchased Absorb Plus is for emergency use for times when she gets accidentally glutened, as for example when finding a crouton down in the bottom of her salad bowl in a restaurant after ordering from their gluten free menu. Obviously, a waiter thought that it was OK just to lift the croutons out of a pre-mixed salad, instead of making a fresh salad in a clean area of the kitchen without any trace of cross-contamination from gluten. Even though she was careful to pick out the crouton herself, this kind of exposure to cross-contamination with gluten is enough to put her in bed for several days. Jini gave the right answer by suggesting that the patient switch brands of probiotics, but a more complete answer would have been to learn which brands of probiotics that other gluten-sensitive patients have found to be safe before recommended such high dosages of probiotics. BTW, SIBO is just one of the numerous terrible symptoms that our family member experiences following any accidental exposure to hidden gluten or to cross-contamination with gluten. It can take several days to get over a simple accidental exposure to gluten. We are expecting that having Absorb Plus on the shelf for such emergencies will shorten her recovery time significantly after being glutened accidentally because she often gets too weak to be able to prepare food or to take care of herself without help from a caregiver for several days or even longer. Thanks so much for taking the time to write in. That’s one reason why Jini recommends Natren probiotics: Natren is committed to delivering products that are gluten free, soy free, and non-GMO. Plus, their quality control is excellent. We hope that Absorb Plus is working well for your family member and if you ever have any questions or concerns please let us know. hi, I have been sick for 30 years and I just got tested for SIBO and I tested positive. I am thinking of going on the elemental diet for 2 weeks. Have you seen this help SIBO? What other herbals could I take to get rid of the SIBO? How much oregano oil would I take? I’m getting all prepped to start my elemental diet. I know most plant-based supplements aren’t allowed. But I was wondering if Milk Thistle would be allowed? It’s only Silymarin, nothing else is added to it. I use this for gallbladder support. If you’re absolutely certain that milk thistle causes zero issues for you then go for it! I tried the AbsorbPlus sample with my DD who has Crohn’s colitis and is currently flaring – bloody diarrhea that we can’t seem to rein in. She is on an SCD diet, a 5-ASA Lialda and VSL-3 probiotic. This combination seemed to have been working for 9 months until we saw blood in her stool over 3 weeks ago. Her GI upped her Lialda (max dosage) and VSL-3 (225 billion) but she keeps getting worse daily – progressed to bloody diarrhea. She is out of school and resting but to no avail. She is basically on chicken soup, some steamed zucchini and cucumbers but nothing seems to help. We want to try an elemental diet instead of stronger drugs. Anyway, I split the AbsorbPlus sample in 3 shakes to test it and each time in 2 minutes, she had to go. Is that normal? Would you suggest trying the Absorbplus if it cannot even stay in her system for 2 minutes? She would need to be having at least 5 shakes and that would mean she may in the bathroom all the time. She does not have any pain per se on having it. Also, I have the IBD Remission Diet book and it lists al lot of supplements. My DD is very sensitive to supplements. Are they all necessary? We were think of trying a highly reduced WOO along with some elemental shake and maybe gelatin (healing) and chicken broth and her VSL-3 to see if that alone works? And has anyone tried a probiotic enema using the probiotics they are already on? I don’t think her system reacts well to too many changes. Regarding the Absorb Plus sample, one third of a serving would not have an effect like that within two minutes of ingestion. People on elemental diets tend to have more frequent bowel movements, especially at the beginning, but it should normalize a bit as the body acclimates to it. The goal is to stop the bleeding and any other symptoms that one might be suffering from and achieve a state of stable remission from which regular foods can be gradually introduced. As far as the supplements mentioned in The IBD Remission Diet, each has its own purpose and Jini would not recommend them if she felt they weren’t necessary. However, some of them may not be applicable based on your particular health situation (more details about that in the book). If you have any additional questions about any of the protocols please don’t hesitate to ask! How long can you keep Absorb Plus in the firge once it has been mixed. We wouldn’t recommend leaving it for any longer than a few hours because the product tastes best when mixed fresh. No matter how long you leave it in the refrigerator, make sure to shake/mix/stir it up again before you drink it because the powder will likely settle at the bottom of the container. Thank you and your staff for all years of research so that others are able to benefit from the valuable knowledge and don’t have to suffer longer with hit and miss stategies. My 19 year old son was recently diagnosed with Crohn’s after Meningitis shot for college, steroid shot for allergies on the same day, followed 1 week later by Strep Throat with RX for Augmentin, and Cipro RX for diarrhea that developed with Augmentin. I wish I had your book prior to the previousl Dr. appointments, perhaps he would not be suffering this diagnosis. My Mother has Ulcerative Colitis and had Ileostomy at age 26. My husband nor I have either. Lialda was prescribed but we stopped after 1 month. We were saved, by parents, with a teen daughter that has Crohn’s. They shared their story and lead us to make the decision to order Listen to your Gut and Absorb Plus. My son has 1-2 diarrhea bouts per day, we know he is very blessed, based on stories of many others. We are doing shakes, your diet and vitamin recommendations. How long does it generally take for diarrhea to stop? Will fever persist as long as diarrhea continues or is there another reason for the ongoing fever? GI said it is due to inflammation, but of course, harmful drugs were the recommendation. We cancelled the follow up after the colonoscopy. I appreciate any insight. My son leaves for college May 16 and my husband and I are very concerned. My son has the best attitude, although I sense a normal sadness and concern. I would give up everything to take this horrible disease from him. Thank you again for all you have done for those diagnosed and their loved ones. Thank you for your interest and message. Sorry to hear all you have had to go through with your son. We hope he can start feeling better through and find a path to healing. It is hard to say how long diarrhea will last as every case and everybody is different. There are a lot of factors to it. It also depends how closely the person devotes and follows the protocols of diet, supplements, and vitamins. Some of the supplements could make diarrhea worse, so please read the information in the book closely about each before using them. Jini highly recommends Natren Probiotics, and for diarrhea she recommends starting with just the Bifido. 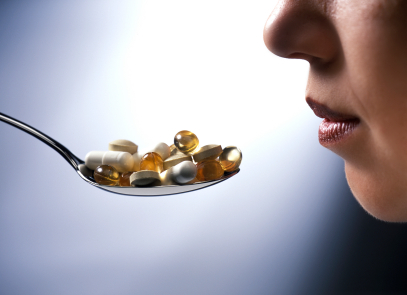 Also she emphasizes if a person has diarrhea to take all of their supplements and vitamins in powder or liquid form. As for the fever, it could be a die off symptom. However it could be a underlying symptom of a infection or something else. If it continues or gets severe we advise contacting your doctor. However just be cautious of any prescriptions as they can go against trying to heal the gut. It is also important to connect physical healing with emotional as well, which Jini talks about in the Listen to your Gut book and on the website. However, at your sons age it is important that he also understands the different aspects of treatment to heal to be willing to do it himself in order to get the full affect of it. Especially if he will be away from home at college, it is important that he understands how to take care of himself. He is lucky to have a mother with such care to help him feel better as well. Just an observation. At the top of the feed of comments the first comment I see is from 2011 which made me think if any of this is still relevant. Then I scrolled way down to see a comment from 2016. You may want to reverse your dates so that the first thin seen isn’t from 2011. Keeping the.latest comments and most recent date at the top, rather than scrolling and scrolling to get the the most recent. That does sound like a good idea. I will pass it on to our blog manager and see if that is the set up he would like to do. Thank you for the idea! Hi I’ve ordered the sample absorb plus and it didn’t come with a scooper, and the direction say to add 4 scoops to water how big are the scoops supposed to be? Tablespoons /teaspoon? Just curious. Sorry for the confusion! Each sample is a single serving so that bottle equals 4 scoops. In terms of numbers, a scoop is 25g and probably equals somewhere between 6 and 7 teaspoons. Hello, thank you for making this webinar available as well as all the other resources you’ve developed to help people heal from IBD. I’ve had UC for a little over two years, and I am planning to go on the elemental diet with Absorb Plus very soon. I have a question though: my symptoms are abdominal cramping, urgency and diarrhea. I know from reading through the IBD remission diet e-book that the elemental diet could cause liquid/explosive stool, cramping and urgency as well. How would I know if the diet was helping me to heal if those symptoms continue/if the diet causes reactions that are similar to my current symptoms? We have many customers who’ve had cramping and liquid/explosive stools (this signifies undigested food and loss nutrients and electrolytes) before going on elemental diet. Going on elemental diet is probably the thing that would help the most at this point because your body needs more nutrition due to increase loss of nutrients through loose bowel movements. Absorb Plus is pre-digested so it is absorbed into your bloodstream within 20 minutes of ingestion. So there’s no need to be concerned if you continue to have loose movements while on elemental diet, because there is no loss of nutrients or electrolytes. You also may want to try the bentonite clay/sprouted flax and chia powder combination as it should help to normalize the consistency of your stools (only if you are combining Absorb Plus with regular foods). I am on elemental diet due to Chronic with Fistula and Fissure, but my family doctor told me that I should not be on this diet for not more than one month due to the risk of shrinking stomach and colon. Thank you for reaching out! We’ve never received any customer feedback that would suggest that being a concern at all. Some used The IBD Remission Diet exclusively for three months (the usual duration is 6 weeks) and we have many customers who have used it for longer than that. Jini recommends to try to listen to your body and gut on how long it needs the elemental diet. Another thing to go by is when you start you can write down which symptoms you want to improved and then start on other food items when those have been resolved. have you had anyone use your product with cystic fibrosis? I’m abbey and I’m 19. I was told I have extremely high estrogen levels, a parasite, two active forms of mono, slight thyroid imbalance, and of course bad bacteria overgrowth (all the effects in my body from all this is crazyyyyy) … I went on a diet to get rid of everything along with copious amounts of natural pathic pills, but I wasn’t feeling any better months in. I decided to kill the parasite with an antibiotic, and of course, everything has gotten worse. I believe I’ve definitely developed candida from the antibiotic. I’ve tried just about everything, but NOTHING has worked. I ordered your shakes with hope, and my candida is taking off worse than ever!!!! I’m taking my herbs my naturalpath gave me along with probiotics (not yours but megaspore, thoughts on those?) and it’s seriously rough!! Tongue is coated like never before and it’s turning green. Eeek! I have your wild oregano oil coming in the malls long with your probiotics, but should I even be on your shakes?! I decided to try out your shakes when I had a flare up and my stool had blood!! I’ve also responded to your email so please check your inbox.